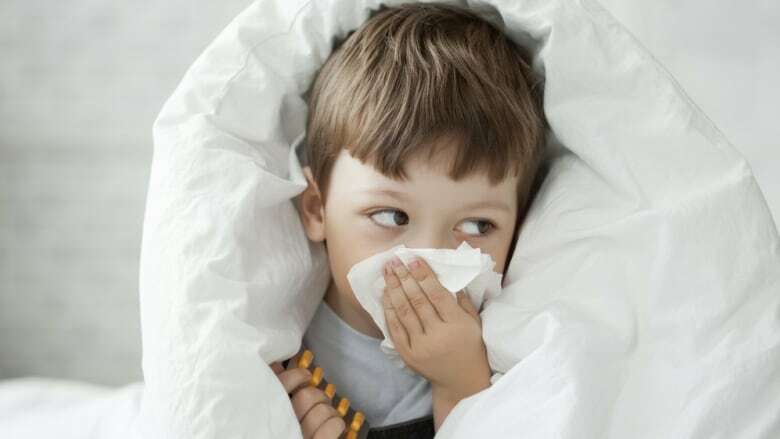 Three hospitals in Waterloo region and Guelph are over capacity and have had to resort to overflow beds due to an outbreak of the flu and respiratory illnesses. St. Mary's General Hospital in Kitchener is at 113 per cent capacity and the hospital has opened 19 overflow beds, said spokeswoman Anne Kelly. "There are a few on every inpatient unit and the rest in our overflow unit on the fourth floor," said Kelly in an email to CBC News. Guelph General Hospital has opened eight additional beds and is seeing approximately 15 to 20 additional patients per day than usual. Cambridge Memorial Hospital said it is currently at capacity. Meanwhile Grand River Hospital in Kitchener has brought out 45 temporary beds to handle additional patients, though the number can vary day to day. Judy Linton, the hospital's vice-president of clinical services, said the majority of those beds are likely for respiratory illnesses, and are part of the hospital's plan to manage patient surges. Linton said her hospital isn't necessarily seeing high numbers of flu cases this year, but they are seeing an uptick in admissions this year over last. "The numbers in December are 11 per cent higher, in December 2016 than they were in December 2015. Now that's our total admissions, our total volume coming through the emergency department, and a large portion of that would be respiratory illness," said Linton. The exact number of flu cases is hard to say, said Linton, as it can take a few days to get the flu test results back to the hospital. Though, Linton said, the number is "not very high." This is a busy time of year for the hospitals, and staff do plan for it, said Linton. "In December through March, we expect that our volumes will be higher, because of respiratory illnesses, viruses, slips and falls," she said. "Seasonal surge is not unexpected during the winter months and our staff and physicians are working extremely hard to meet the demand," wrote Kelly, but she went on to say that this year is different from most. "We're seeing a significantly higher number of patients this year who require isolation, as compared to last year and that affects our capacity. A number of these patients either had [the] flu or were being tested for it." According to Region of Waterloo Public Health 103 laboratory-confirmed cases of the flu as of Jan. 16, 2017. Of those, 99 were influenza A and four were influenza B.